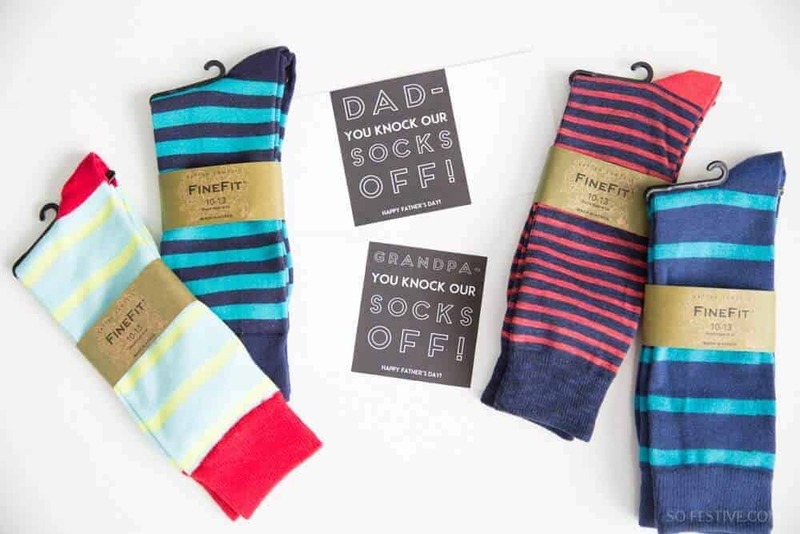 "You Knock Our Socks Off" Father's Day Gift Idea - So Festive! 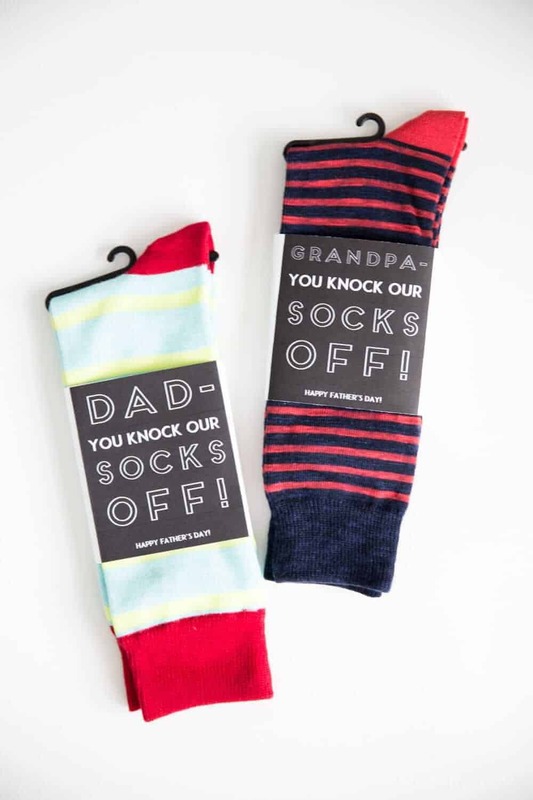 Let all the dads in your life know that they “knock your socks off!” with this oh-so-practical Father’s Day gift idea. A Simple & Practical Father’s Day Gift! 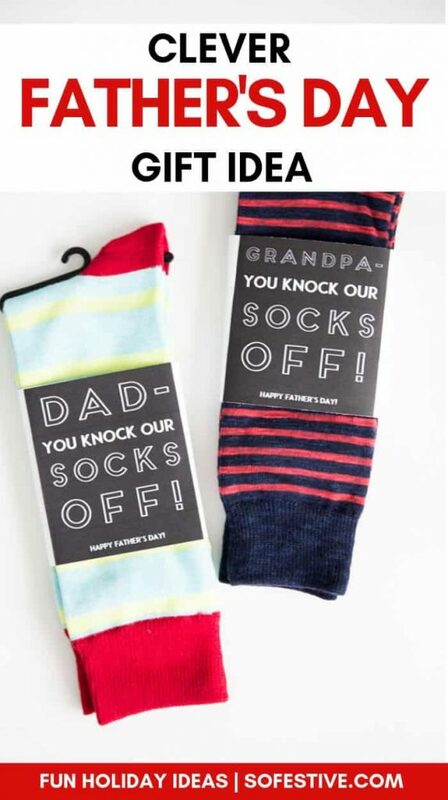 I’m all about practical and simple gifts, so after thinking about what I could get my husband, dad, and father-in-law for Father’s Day, well socks just seem to fit the practical and simple ticket. Plus, I found these really inexpensive socks so I knew this gift would be perfect! 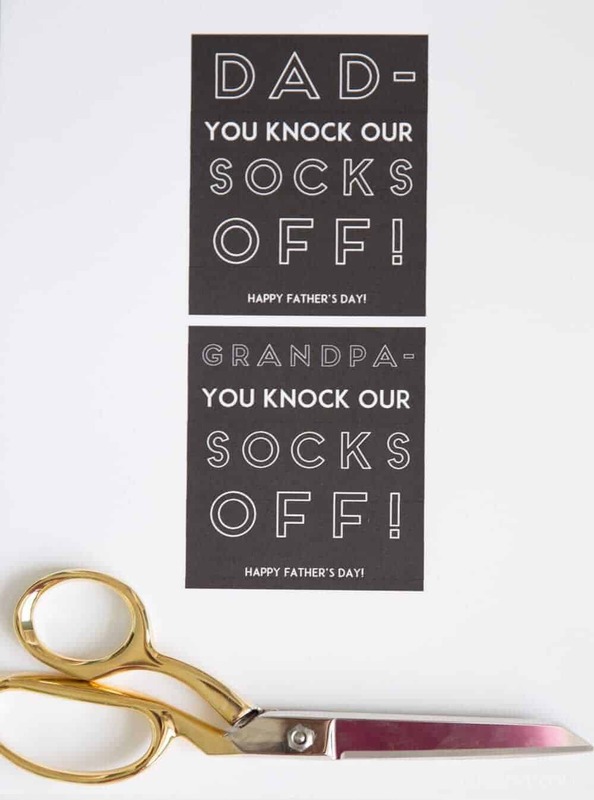 Socks may usually be considered a BORING Father’s Day gift, unless that is that you spruce them up with these cool “You Knock Our Socks Off” printables. 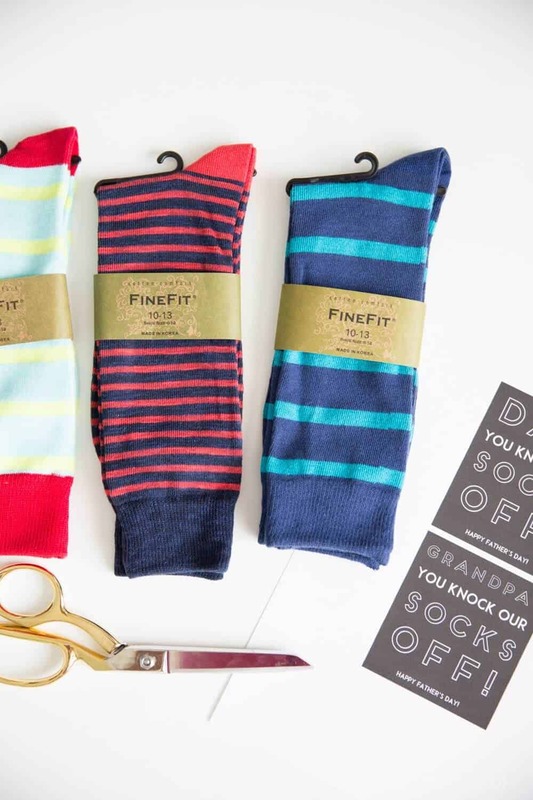 Fun colored socks are the trend these days for men’s socks, so why pick up a pair for your dad and make him the cool dad on the block? Need a Gift for Dad, Grandpa, Brother, or Father-in-Law? I’ve made a few versions of the tags, so you can easily tailor these Father’s Day gifts to your dad, grandpa, or even a generic version–maybe for a future dad? Or brother? Shop for some fun socks. These Fine Fit socks are my husband’s favorite classic socks. Here’s a few of my husband’s favorite kinds. For a wrap-around tag– once you print the tags, simply cut across the entire width of the paper to make a wrap-around tag. Secure the back portion with tape or glue. Plain tag– If you prefer just a regular ol’ tag, cut around the black box. Then attach the Father’s Day sock tags with a piece of tape or stapler. Voila! Grab the free tags in the Freebies Section for Subscribers or click below to get them delivered straight to your inbox! Now, go knock some socks off with this simple, practical gift! That’s a good idea! I guess if its’ coming from the mom and child, “our” works! Hello! What a cute and fun printable. Is there any way to make it customizable? I would love to do this for our basketball team, but want it to say Let’s Knock their socks off…THANKS! I could probably create one. When do you need it by?